Specially designed for abrupt stops and quick changes of direction. The insoles Ergopad are specially designed for abrupt stops and quick changes of direction. 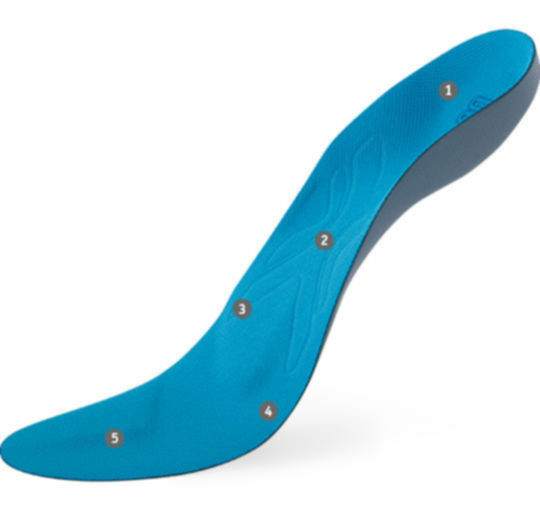 The insoles stabilize the movement of the hindfoot and ankle during sporting activities. They also prevent and treat sports-related complaints experienced by patients with mild to severe arch decreased/splay foot or mild pes cavus. Orthotic core is partially coated in high-quality polyurethane soft foam. Good cushioning properties despite its low construction height. Heel cup stabilizes the foot and ankle during quick stops and turns. Toe bank stretches the toes and increases contact between the foot and the shoe, also relieving the Achilles tendon. Sensorimotor spots in the PU surface stimulate and ease the muscles.